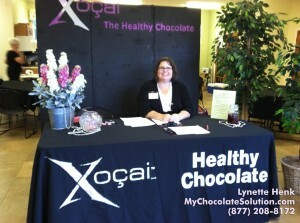 Where Can You Buy Beyond Healthy Chocolate Nuggets, Power Squares, Xobiotic, Omega Squares, Meal Replacement Shake & Activ? Are you looking for the nearest specialty or health food store that may carry your favorite healthy chocolate product? Beyond Healthy Chocolate products is now available online for purchase direct to your home with FREE SHIPPING! This offer is available at ColdPressedChocolate.com and no coupon or promo code is required. In addition to free shipping, you also qualify for a free product every 3rd month when you participate in the Chocolate of the Month Club. (subscription rewards program) To participate you simply pick which product you would like shipped for smart order every month. Every 3rd month for the first year you will receive a free product equal in value to your monthly order! at any time. It is great not to have to worry about running out. Most of my customers appreciate not running out of the Xe Energy drink, The Beyond Beauty Cream anti-aging skin care and the XO Healthy Chocolate nuggets. 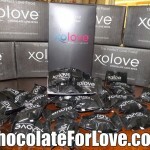 If you had to pick a favorite XO healthy chocolate product, which would it be? Mine is the Xobiotic and the scrumptious decadent Nugget! So good! Order now and you will have yummy healthy chocolate at your door in no time. I am Lynette Henk, Beyond Healthy Chocolate Company lover and promoter with Three Sons Marketing LLC here in the Punta Gorda Babcock Ranch Florida area. We can be reached at 941-216-5727, [email protected] or at ColdPressedChocolate.com. Keep Kids Hydrated In Punta Gorda, Try Xe Energy Drink FREE!